…because nap time and night time are a long time to go without a potty break. Although my son wore most of his non-fitted cloth diapers for a very long time (4 months to 24 months), his bigger thighs have rendered most of the smaller cloth one size rather unwearable. 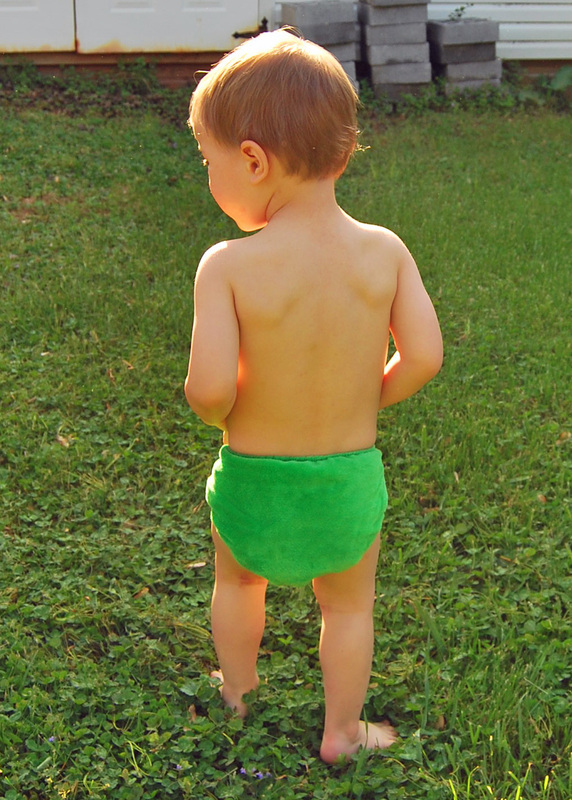 You may have already read my extensive review on cloth diapers and tips for how to care for them. 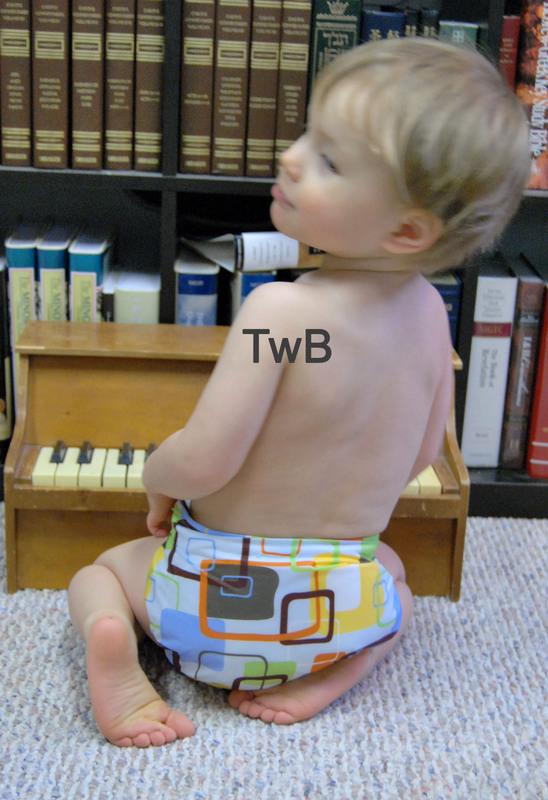 Since I wrote the cloth diaper review in August 2008, more styles and brands have landed on the market. So, it’s time for an addendum particularly targeting bigger babies and toddlers. Again, a great benefit of cloth is how it makes babies conscientious of their wetness or diaper fullness, thus encouraging elimination communication at an early age. Even once your child enters the potty training stage and transitions to underwear during the day, there’s the sleep time periods that require something other than underwear. 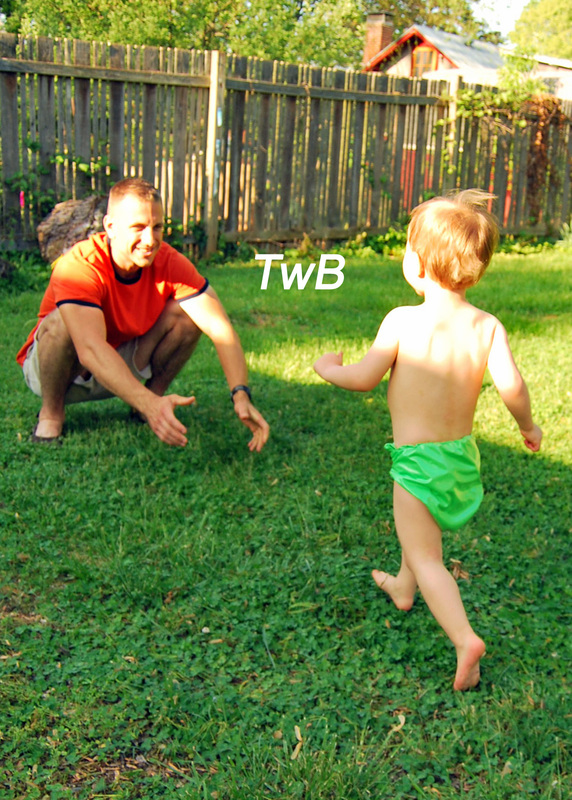 My son wore disposable training pants…once. Never again. He borrowed a pair from his cousin’s stash. The extra amount of chemicals (polypropylene, polyethylene, polyacrylate) was irritating to his skin and caused an instant diaper rash. No thanks. We’ll stick with cloth. The ultra lite is for infants is designed for babies who weigh 10 – 22 pounds, while the toddler-size is for babies who weigh 22 – 45 pounds. 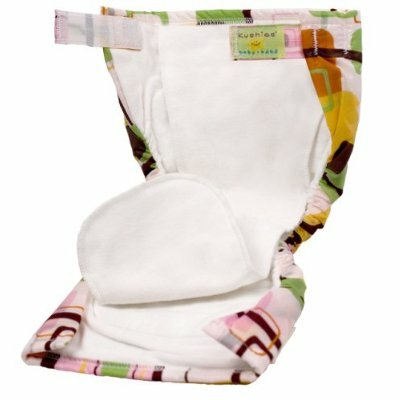 This is a fitted diaper with hook and loop closure tabs using 6 layers of absorbent 100% cotton flannel plus an additional attached flannel soaker that can be folded up (boys) or down (girls). The roomy legs of the toddler version allow my son to run, jump, and walk without a discernible bulky cloth diaper waddle (totally cute in babies, but not desirable in walking and running toddlers). 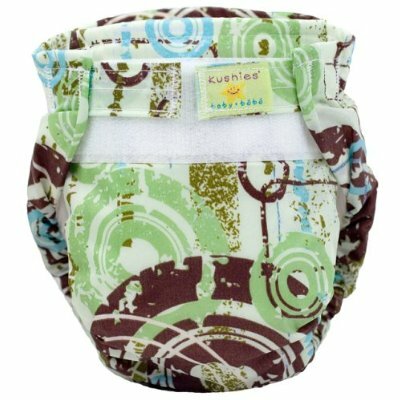 Compared to the Classic Kushies Diaper, the Ultra LIte feature two fewer layers of cloth and a lighter waterproof barrier. My son used the classic Kushies beginning when he was 8 months old. They were fantastic–and they were hand me downs used by 2 other children (talk about a long diaper life). 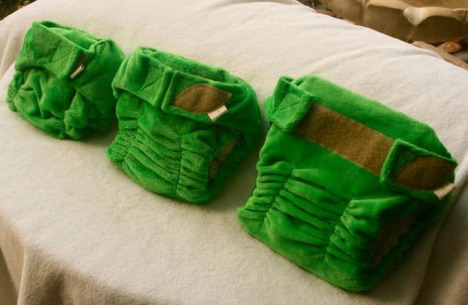 I love everything Kushies makes regarding cloth diapers–definitely a workhorse that’s light weight and built to last, plus super easy to clean without pulling out stuffed pockets or removing snappies. The Ultra Lite diaper is available in variety of fun and mod prints suitable for girl (pinks with brown accents), boy (blues with brown accents), and neutral (greens with brown or multi-color as shown above). As a day use diaper, I found it worked well compared to the majority of other cloth diapers that my son can barely fit into. The slimmer legs are perfect for mobile babies and toddler. As a sleep time diaper, I needed to use an extra layer of soaker for my son who is a heavy wetter. There’s room to add soakers as necessary with this diaper. Easy to clean since they’re washing machine/dryer friendly, comfortable for my son, and delightful to the eye. Read product details from Kushies. Purchase Kushies Ultra Lite Diapers . Envibum’s minkee soft outer features a PUL water barrier lining inside; plus, there’s an unbleached cotton waffle with extra absorbency. It works like a pocket or with extra flannel soakers on top. Washer-friendly and line dry to keep this super cute and super soft diaper beautiful for the long haul. It’s designed to fit the tiniest newborn to a growing toddler for babies weighing 8 to 40 pounds. The soaker pads are optionally fit with hook and loop closures to keep them in place (no need to deal with stuffing and unstuffing soiled soakers in pockets! )–or you can get them without the hook and loop closure. 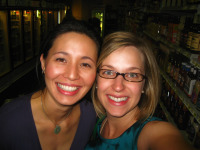 Envibum has a high commitment to creating green products that are useful for moms from all walks of life. This is a very high quality diaper that feels like a super soft stuffed animal. 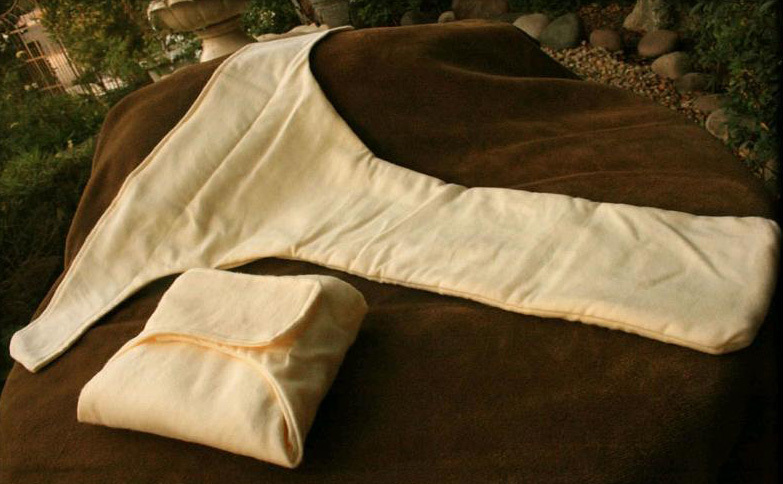 You’ll want to snuggle your little one in this beautiful diaper. My son stroked the minkee fabric saying, “So soft! My diaper!” It’s definitely his favorite cloth diaper and easily one of mine. I LOVE that Envibum is owned and operated by a family who gives back $2 toward every all-in-one cloth diaper sale to a non-profit (based on the color of the diaper). Read more on their giving back page. Available colors include green, pink, red, aqua (each color related to a specific non-profit). Mom4Mom diaper cover $12.99, t-shaped liner $9.99. This is Envibum’s take on prefolds with a cover. The t-shaped prefold is made from flannel–it’s much less bulky than a rectangular chinese prefold, yet just as absorbent and durable. Envibum claims you don’t need to use pins or snappies to keep the front flaps of the prefold in place before applying the waterproof, hook and loop closure diaper cover, but I thought it was very hard to keep the prefold in place while applying the cover (and my son is old enough to hold relatively still for diaper time). Snaps or hook and loop closures would help with securing the prefold. 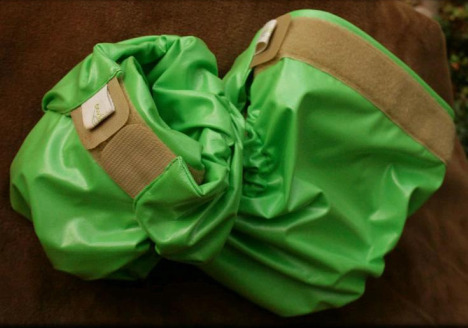 For every Mom4Mom diaper cover purchased, Envibum gives one to another mom in need. Reading about how moms in third world countries re-use disposable diapers as diaper covers…for months…made my heart heavy. Learning about the hope that Envibum provides for these moms (there and here in the US) and why they use brown velcro makes me want to support this company with all future cloth diaper purchases. Period. 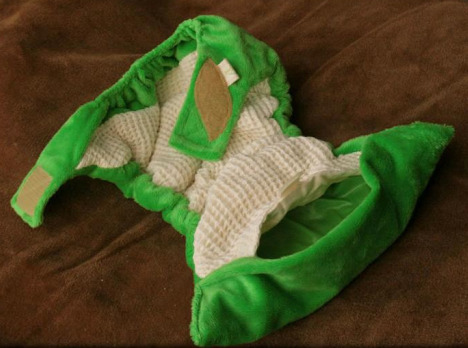 Read product details from Envibum and purchase diapers. Note: I received diapers, soakers, and cover samples for the purpose of this review. So nice these diapers are. I think babies will not not have any problem with these. They feel better after wearing these.